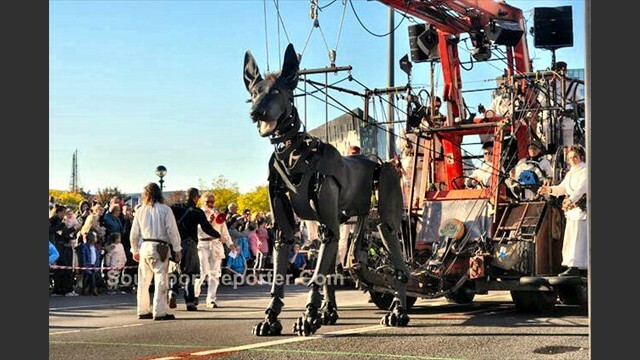 LIVERPOOL'S celebrated Giant Spectacular has scooped the top prize at a ceremony widely regarded as the:- 'Event Oscars.' On Thursday, 14 March 2019, Liverpool's Dream was named:- 'Best Visual Spectacular 2018' by the:- 'Event Production Awards,' a prestigious industry accolade. And it wasn't the only winner! 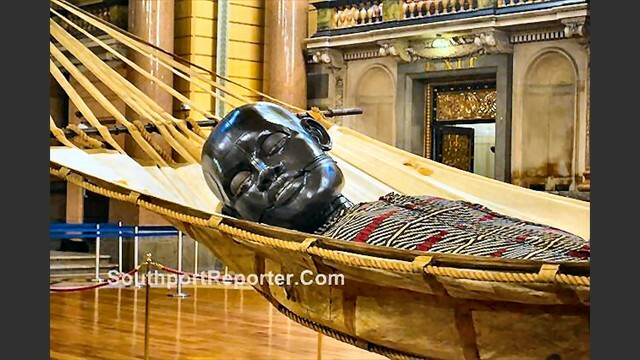 Liverpool captured a unique double with the City itself being named:- 'Best Venue' for the incredible programme of events which took place across its neighbourhoods in 2018 to celebrate the 10th Anniversary of being European Capital of Culture. Rather than just pick 1 location, the award submission highlighted the role the whole City played in staging various events across the year; from Tall Ships at the waterfront and Red Bull Driftshifters on The Strand, through to Liverpool International Music Festival (LIMF) in Sefton Park and Summer Social in Croxteth Park. When presenting the award to members of the Culture Liverpool team who attended the awards ceremony in London, the judging panel revealed both of the City's award entries had received the highest possible scores. 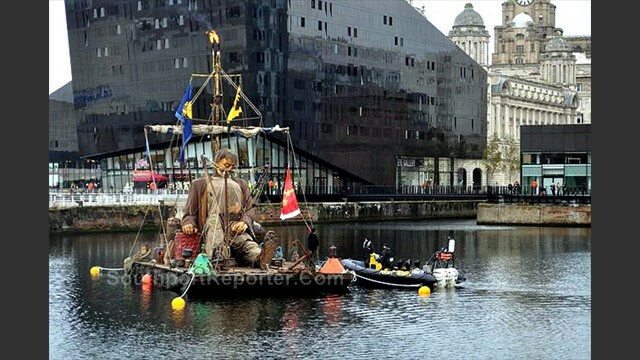 Liverpool's Dream took place from 4 October to 7 October 2018, and brought in 1.3million visitors into the Liverpool City Centre and to the Wirral, and generated a massive ₤60.6m for the local economies. It was funded by Liverpool City Region Combined Authority through their Single Investment Fund. Deputy Mayor and Cabinet Member for culture, tourism and events, Councillor Wendy Simon, said:- "I'm delighted that both the Giants, and the Liverpool 2018 programme have received the national recognition they deserve - we certainly won hearts and minds last year and now we're winning awards! It was a stand out year with events showcasing so many areas of the City and the wider City Region, using our streets as a stage to push boundaries and wow audiences. 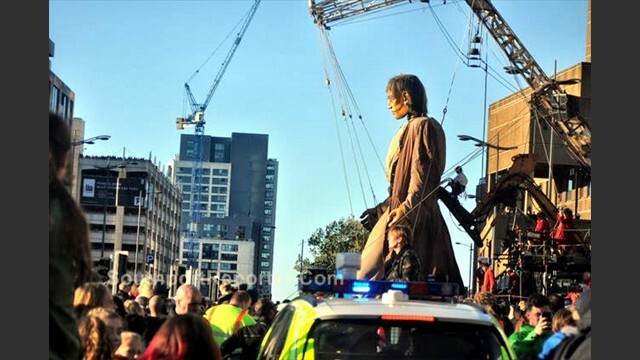 The return of the Giants was of course a highlight for so many, and for 4 days the international spotlight shone on the City and we more than rose to the occasion. These awards are a wonderful recognition of the ambition, creativity and sheer hard work of not only the Culture Liverpool team, but the wider City Council departments integral to staging events and of course our partners across the City. We are a beacon for best practice when it comes to culture, and I'm proud to be Deputy Mayor of a City which continues to invest in the sector, ensuring Liverpool is a City where people want to live, visit, work and study in." 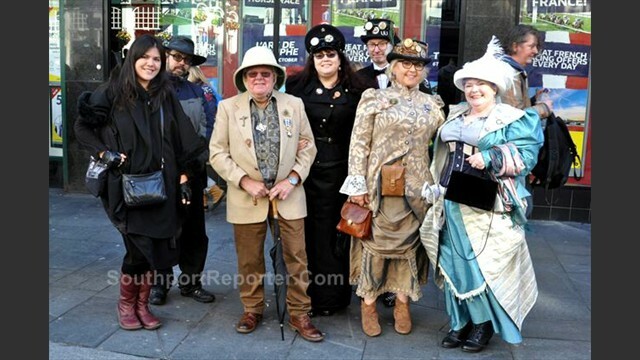 To see our coverage of the Giant Spectacular, click on here now... Part 1 | Part 2 | Part 3 | Part 4 | 360º. MOIST the colours and roll out the gangway because Liverpool City Council's Cruise Terminal is on course for another fantastic record breaking year. It's exactly 1 month until Liverpool's Cruise Season begins, when the Costa Mediterranea makes its maiden voyage down the Mersey. It is predicted that the programme will bring in more in nearly ₤12m to the City's local economy. There will be more ships, more passengers and more fantastic opportunities to promote the City of Liverpool to an international audience. Last year, more than 100,000 international passengers and crew members visited Liverpool with the Cruise Terminal welcoming 57 cruise vessels. This level of activity generated more than ₤7m for the City's economy. The Cruise Terminal team operated 24 turnaround calls and 33 transit calls throughout the season as well as provided support for a range of working vessels such as dredgers and offshore wind farm support ships and Royal and Foreign Navies. With the new cruise season looming large the team down at the terminal are bracing themselves for a year that will see a predicted 86 ships carrying a whopping 165,000 passengers and crew members. That's enough people to fill Sefton Park's Palm House more than 400 times! There will be 11 newcomers making their maiden voyage along the Mersey this year including the Celebrity Reflection, Costa Mediterranea and the Viking Jupiter. Joining the Liverpool debutants will be the innovator in cruising, Norwegian Cruise Line (NCL), voted:- 'Europe's Leading Cruise Line' 11 years in a row. Its 268 meter vessel, Norwegian Spirit, will be visiting 3 times throughout 2019. Other highlights will include the arrival of 2 Cunard ships throughout the season, the Queen Victoria, on 12 June and 19 August 2019 and the Queen Mary 2, on 16 July 2019. 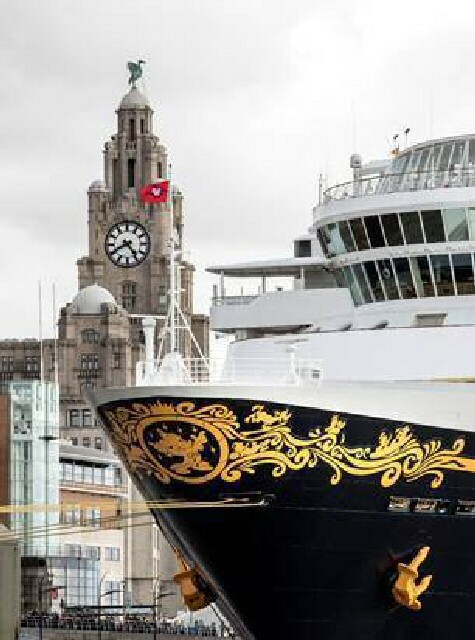 Whilst on 13 September it will be time to wish upon a star as the ever-popular Disney Magic cruise ship makes its fifth return journey to the City. Liverpool City Council's Deputy Mayor and Cabinet Member for Culture, Tourism and Events, Cllr Wendy Simon, said:- "Last year was a record breaker for the Liverpool Cruise Terminal and this year promises to be even bigger and better. Liverpool is a truly unique destination, with a breathtakingly beautiful waterfront, a City centre steeped in heritage, a history of sporting excellence and a year long cultural programme that is second to none. It is the expertise and professionalism of our Cruise Terminal team that keeps the ships coming back and I am sure many of us will be at the waterfront to marvel these majestic vessels as they sail into Liverpool." Head of Cruise & Marine Operations Peter Murney said:- "2018 was an amazing 1 for us where we really secured Liverpool's place as a major player and 1 of the best cruise ship destinations in Europe. It is a testament to the hard work and dedication of our team that even more fantastic vessels will be heading our way in 2019 and we're looking forward to giving them all a great Liverpool welcome."